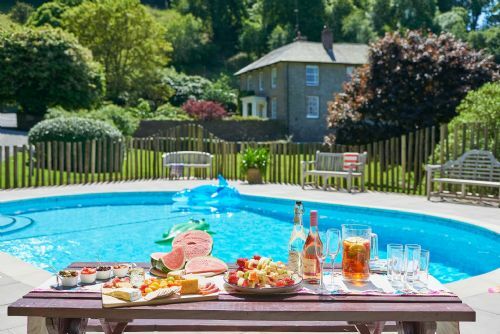 Gitcombe house sleeps 12 + infants in five bedrooms and seamlessly blends period features and furnishings with modern essentials and family friendly extras to create the perfect, country bolthole. Guests enter into a large, flag-stoned entrance hall with coat store and turned staircase leading to the generous first floor landing with armchair and full length mirror. The generous, kitchen/breakfast room (5m x 5m) has bespoke kitchen cupboards, full 'batterie de cuisine' and ample catering space for large family groups. 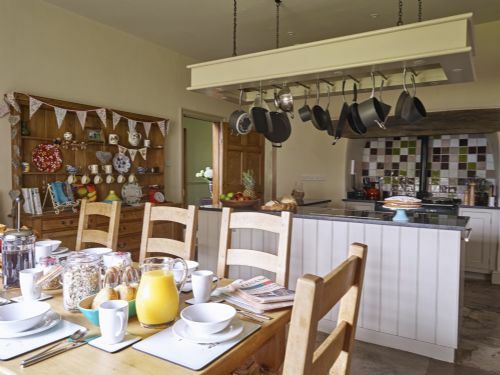 There's an oil fired Aga along with a conventional electric oven and hob, American style fridge-freezer, walk in pantry, digital radio and Bose iPod docking station. 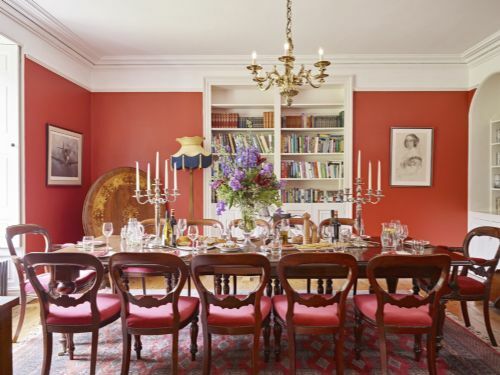 For casual meals there's an in room dining table, chairs and pew bench. The handy utility room is accessed via the kitchen and has a washing machine, tumble drier, sink and drying area. For more formal dining or special occasion meals there's an elegant dining room with an extending mahogany dining table and chairs. 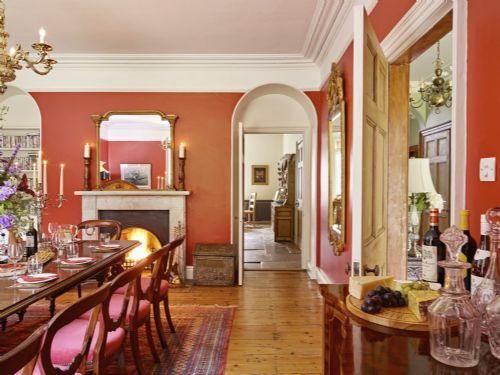 There's a beautiful, french chandelier, open fire place, CD player and antique rocking horse. 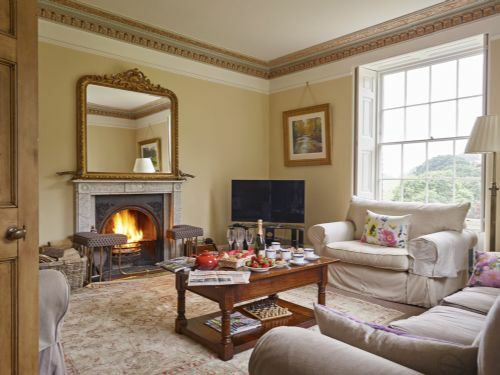 The spacious drawing room is an ideal for relaxing after a busy day making most of the grounds. 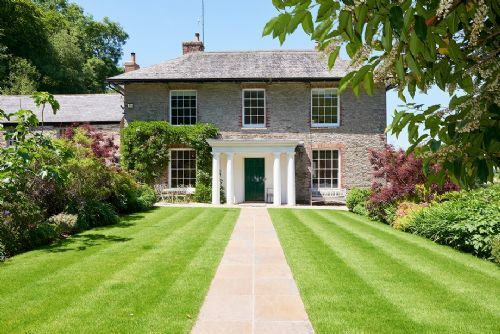 It has sash windows and original shutters to two sides overlooking the front garden and wider estate. There's comfortable sofas, armchairs, an open fire with fender, 47" flat screen digital TV, Blue -ray DVD player and Bose sound dock. There's also a cosy snug room on the ground floor which acts as the perfect 'chill out' room for little ones with a wide screen TV, DVD player and selection of DVDs and games. 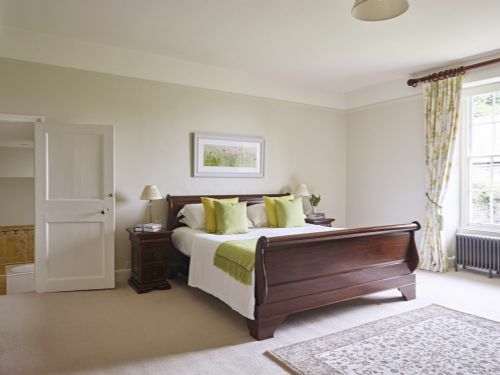 Bedroom one is a fabulously appointed, large proportioned master bedroom with en-suite. It has a super king mahogany sleigh bed, wardrobe, easy chair and writing bureau. There's a TV and space for a cot. The en-suite has a bath with shower attachment, WC, basin and heated towel rail. 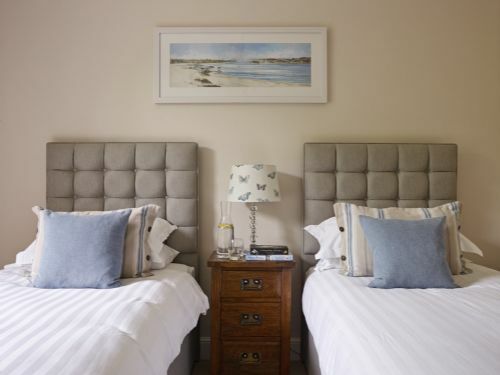 Bedroom two is a spacious family room (5.5m x 4m) with super king bed (sip and link beds can be made up as two single beds on request) and a further single bed. There's a huge wardrobe, cast iron fireplace, TV and space for a cot. Bedroom three is a compact twin room (can be made up as super king on request) at the front of the house with TV. 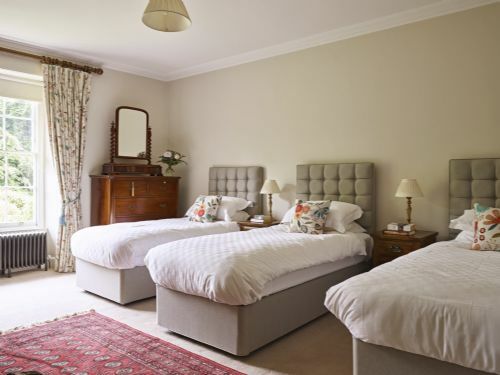 Bedroom four is another large double room, it has sash windows to two sides and overlooks the front garden and grounds. 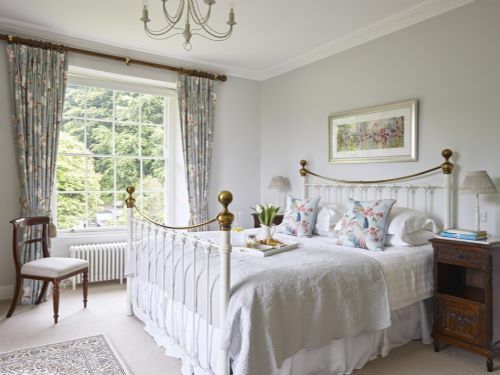 It has a white forged iron, Victorian style 'And So To Bed' super king bed and space for a cot. Finally bedroom five is a further large double with mahogany king size sleigh bed, cast iron fire place and room for a cot. Each bedroom has luxury pocket sprung mattresses and blackout blinds. The house has four bathrooms in total including the master bedrooms en-suite. On the ground floor there is a shower room with drench head shower, toilet, hand basin and heated towel rail. 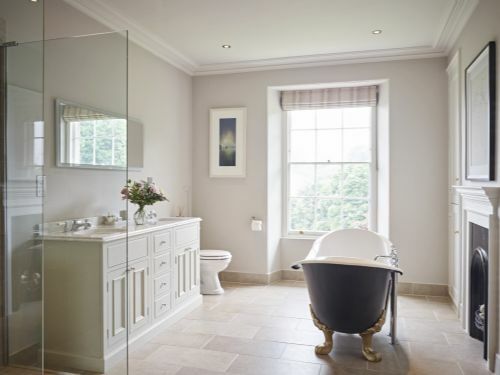 On the first floor there is a generously proportioned family bathroom with cast iron slipper bath, separate shower with french head, hand basin, toilet and bidet. 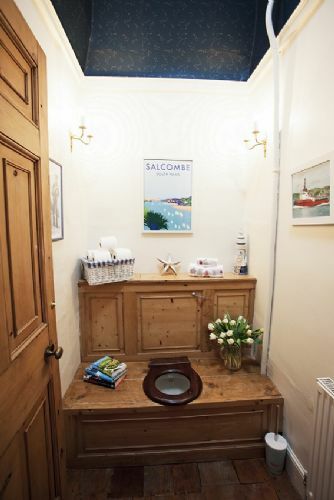 There is also an additional, separate toilet located across the landing with original and working 'thunder box' WC. Outside the house has an enclosed garden to the front with lawn, flowers and shrubs. A wrought iron gate leads to parking, grounds and outdoor swimming pool. 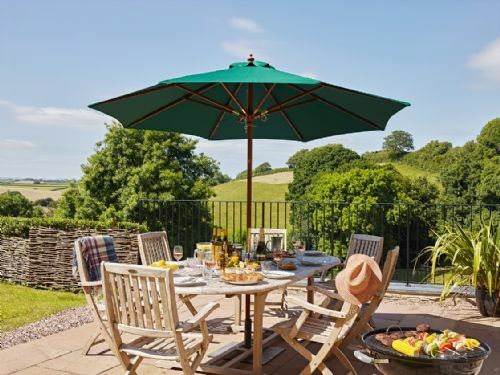 The enclosed rear garden overlooks the grounds and has a wooden dining table, chairs and BBQ. The rear gate leads out to the grounds and lesuite facilities. The house has parking for 2/3 cars directly in front of the house and space for further cars in the general parking area. Thank you for a wonderful stay in Gitcombe house. The staff were very friendly and helpful, the house beautifully decorated and furnished and we loved the indoor pool and tennis court. Ages 2 to 68 we all had the most fabulous time. Our welcome was magnificent as everything was so well thought through. The facilities were excellent and the peace away from traffic was super. We would return here again and again. Thankyou Peter Emma and Team. P.S Just to say we had food prepared for us by Elaine for 2 nights while we were here. Ask Gitcombe for her details - outstanding meals. A wonderful week with three generations of our family. The only disadvantage was connected with poor/ unreliable WiFi , which was not a problem for the older folks but it was for the one person who was continuing to make contact with his own business and the other who had to continue receiving work emails in order to prepare for a business trip. Our bad planning really- folks who just cannot take a week off work, modern society! 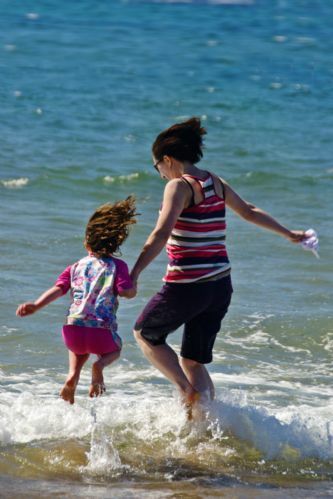 We were so fortunate to have sunny warm weather with no rain. Location problem- narrow lanes, impossible to change, we were prepared. 16 members of the family cane together for a 70th party. Gitcombe House set the path for a happy, fun weekend. Everyone loved the house, they felt pampered. The house is big enough for everyone to move around at ease even with toddlers and small children running around. If quiet was needed then the small children head up to the swimming pool or the wooden playground. All the feedback was positive and many asked how I’d found Gitcombe. So all in all a success. I would certainly stay there again. 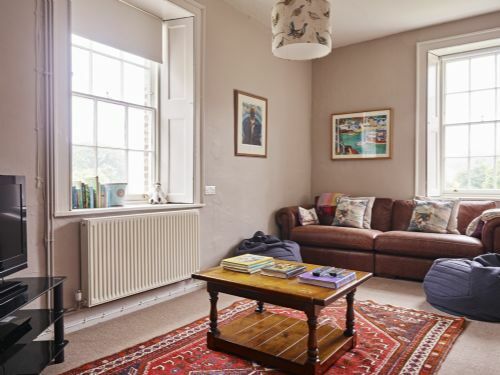 We stayed at Gitcombe House itself for the first time having stayed in two other properties at Gitcombe in previous years. It is a special house and worked well for three generations staying together for a week. Plenty of use of the pools indoor and out, the hot tub and the tennis court. We used a caterer (Nina from www.devoncooks.com) for a wonderful celebration dinner in the fabulous dining room and the kitchen was very well provided to cook for ten when we needed to. 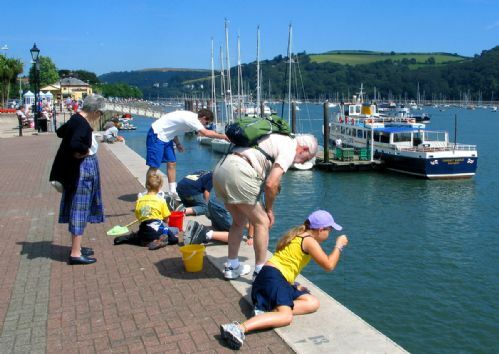 Great location for all that South Devon has to offer. We enjoyed celebrating our parents 30th wedding anniversary in the comfort of Gitcombe house. Peter was really helpful on arrival and with any questions we had throughout the weekend. The facilities onsite are great and we had a lot of fun in the outdoor pool. The kitchen was well equipped and really easy to find your way around. We thoroughly enjoyed our stay!